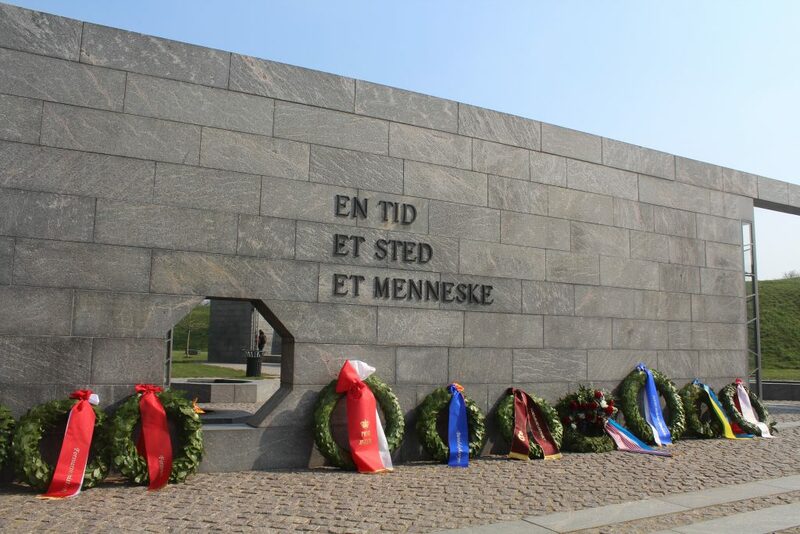 Fejring af NATO´s 70 års dag 1949-2019 ved Det nationale monument for danskere i udenlandsk mission siden 1948 – Kastellet Fortress, København. Text and photos by Erik K Abrahamsen, april 2019. 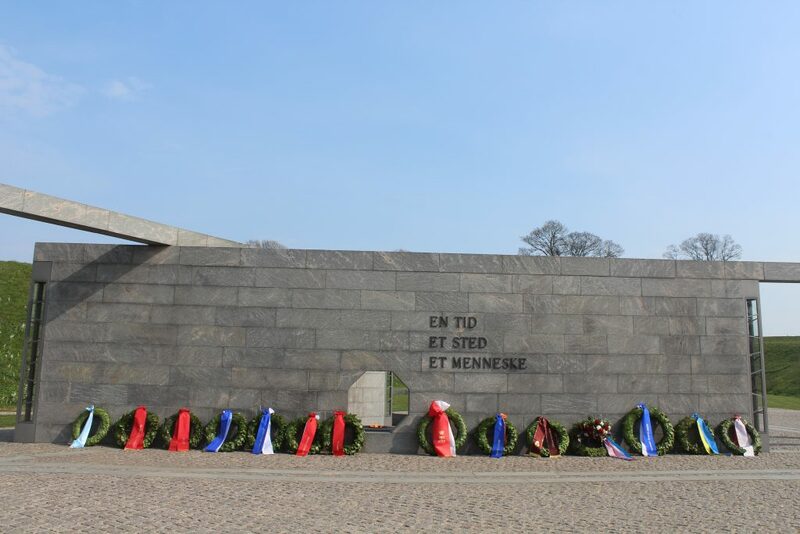 The 4. april 2019 The Danish Atlantic Treaty Association, Atlantsammenslutningen ( atlant.dk ) and Danish Veterans Association, ( danmarksveteraner.dk ) celebrated North Atlantic Treaty Organization`s (NATO) 70 years anniversary at a wreath-laying ceremony at The National Monument in honour of danes in international mission since 1948 – Kastellet Citadel (Fortress), Copenhagen. Celebration of Nato´s 70 years anniversary the 4. april 2019. 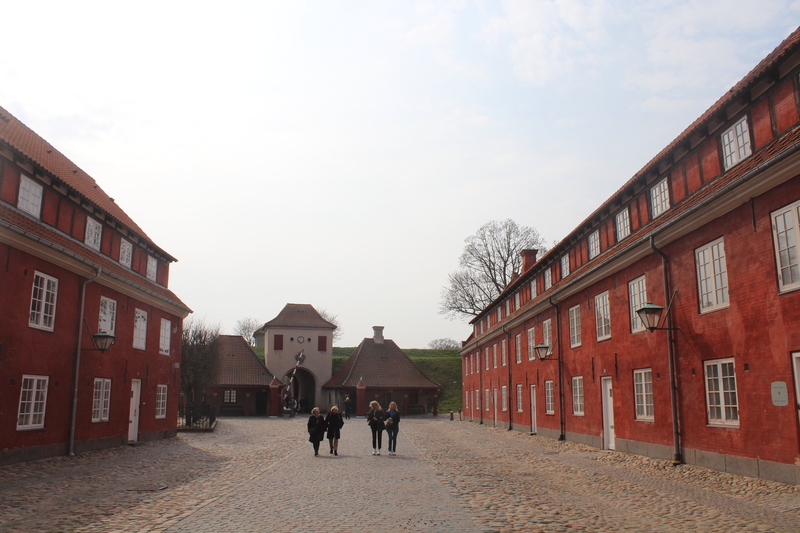 Kastellet, Copenhagen. Photo 6. april 2019 by Erik K Abrahamsen. North Atlantic Treaty Organization (NATO) was founded 4. april 1949 as a military and political organization on the principle of United Nations Organization (UN) founded 24. october 1945. NATO was founded in 1949 to protect the trans atlantics democracies against aggressions from totalitarian regimes all over the world. NATO was founded to protect the human civilization from the horrors of 1. World War (1914-18) and Second World War (1939-45). 15. august 1945 by the surrender of Japan Government. about 55-70 millions died, 2/3 of the dead were civilians. Soviet Union: more than 27 mill. China: more than 10 mill. Central European States: 4 mill. Holocaust: 6 mill jews died in germain concentration camps executed by gas poisoning. Den Store Danske Encyklopædi, Bind 20 page 103, Danmarks Nationalleksikon A/S 2001. The National Monument in honour of danes in international mission since 1948 – Kastellet Fortress, Copenhagen. First, second and third room: Theme: A TIME, A PLACE, A HUMAN BEING. Photo 6. april 2019 by Erik K Abrahamsen. First room (in front): A TIME – EN TID. Memorial, Kastellet Fortress. Photo 6. april 2019 by Erik K Abrahamsen. On granite wall: all names of 52 countries and locations where danes send out by danish Folketinget and danish government to international missions under UN request and supervision. Second Room (in middle): A PLACE – ET STED. 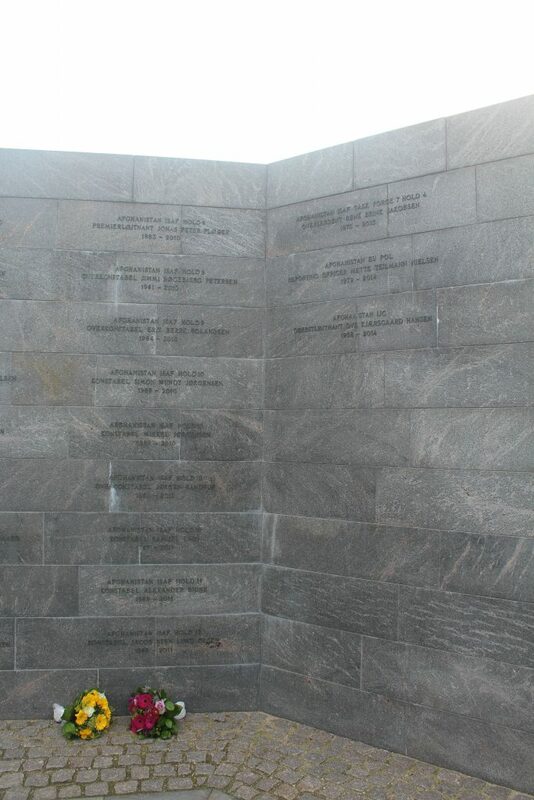 All names of 52 countries and locations on granite wall. 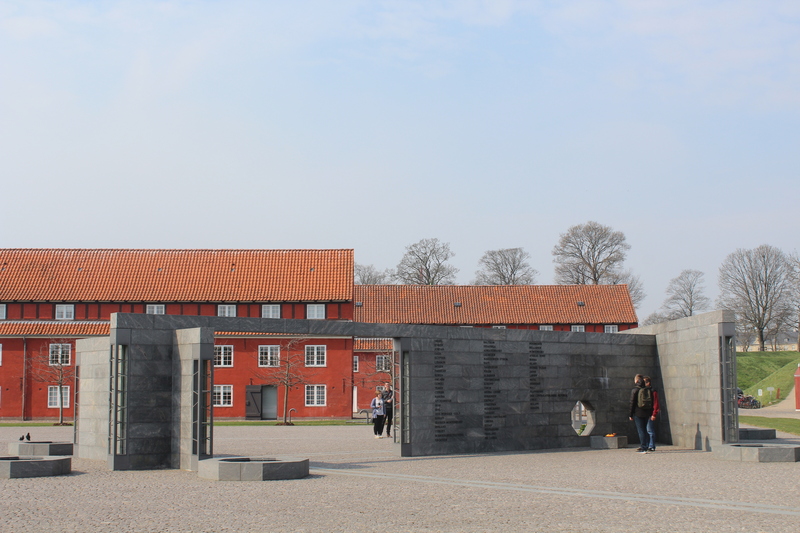 The National Monument in honour of danes in international mission since 1948 – Kastellet Fortress, Copenhagen. Photo 6. april 2019 by Erik K Abrahamsen. 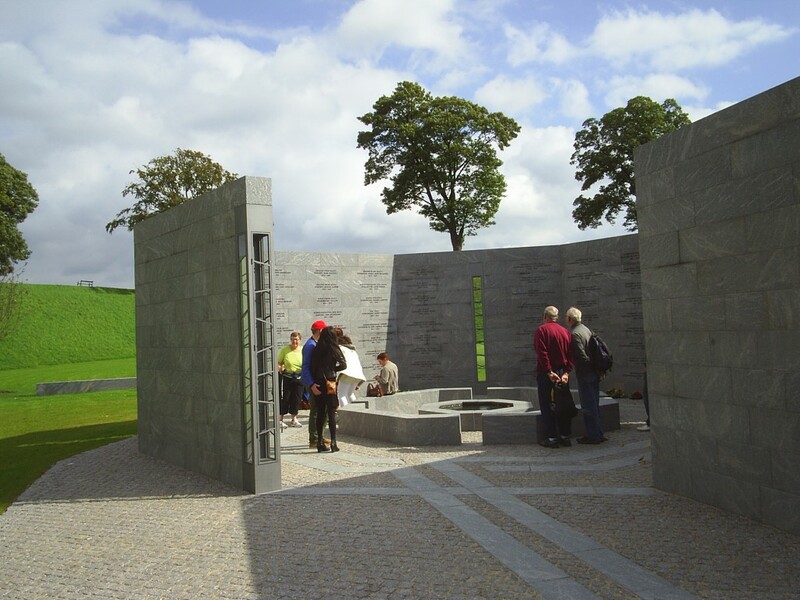 on granite walls all names of 112 danes killed in international missions under UN request and supervision. 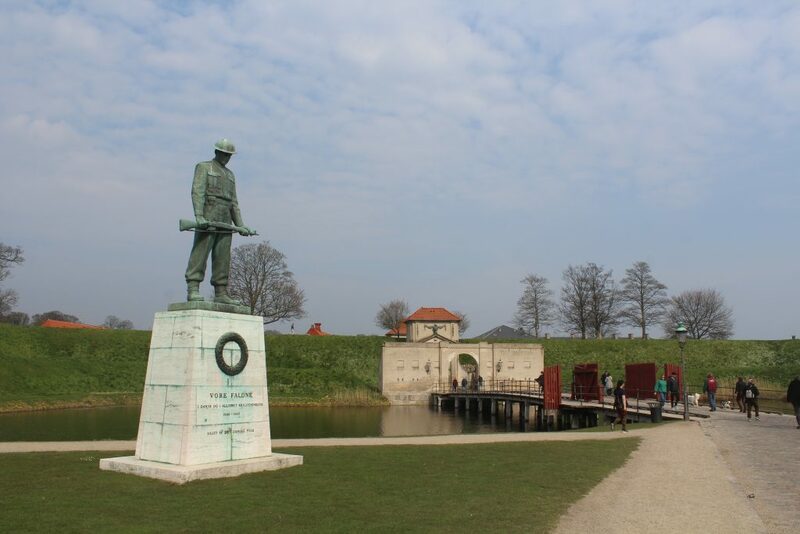 The National Monument in honour of danes in international mission since 1948 – Kastellet Fortress, Copenhagen. Photo 6. september 2011 by Erik K Abrahamsen. Third Room (in back): A HUMAN BEING – ET MENNESKE. 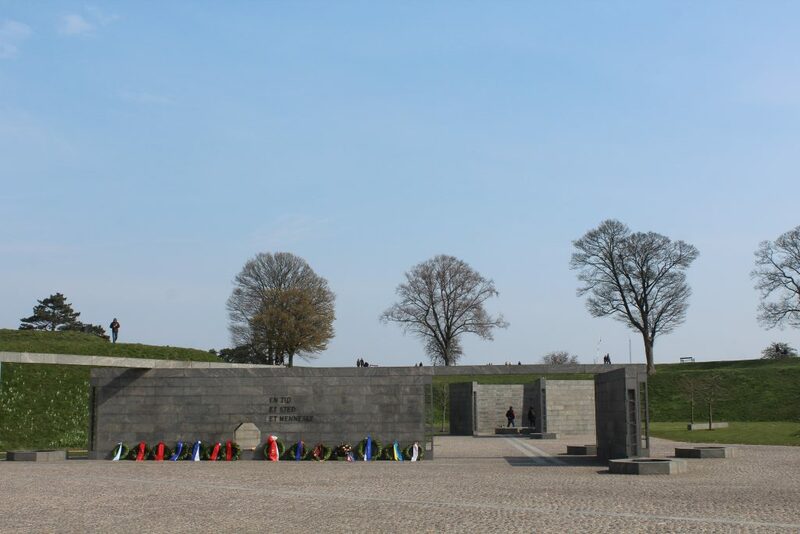 The National Monument in honour of danes in international mission since 1948 – Kastellet Fortress, Copenhagen. Photo 6. april 2019 by Erik K Abrahamsen. 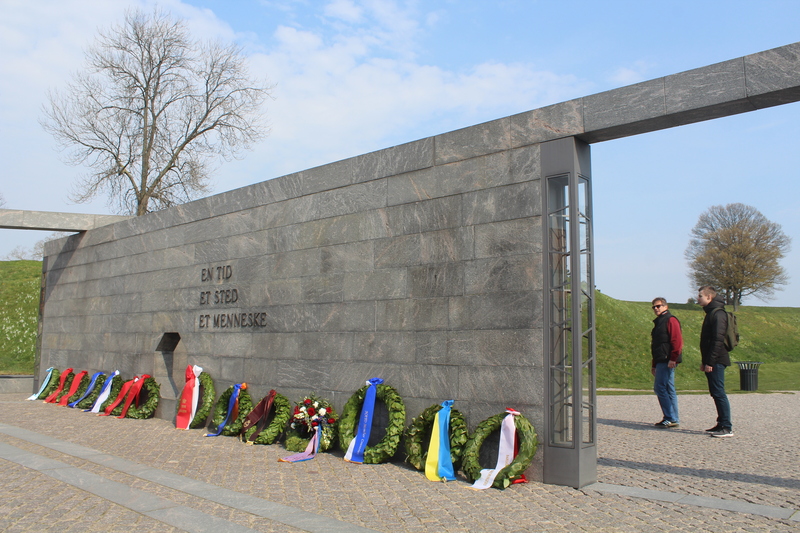 North Atlantic Treaty Organization`s (NATO) 70 years anniversary at a wreath-laying ceremony at The National Monument in honour of danes in international mission since 1948 – Kastellet Fortress, Copenhagen. Photo 6. april 2019 by Erik K Abrahamsen. Carl Bratved; Johan Fredrik Jörgensen, Sveriges ambassadør; Carla Herd Sands, USA’s ambassadør; kommandør Michael Biery, USA’s forsvarsattaché; generalmajor Jens Garly, hjemmeværnet; oberst Nicolas T. Veicherts, Hærens Officersskole; direktør Henning Thiesen, Beredskabsstyrelsen; Hans Kongelige Højhed Prins Joachim, forsvarschef general Bjørn Bisserup; forsvarsminister Claus Hjort Frederiksen; Anders Fogh Rasmussen; John Dyrby Paulsen, formand for Tænketanken Atlantsammenslutningen; og Flemming Vinther, formand for Hærens Konstabel og Korporalsforening. North Atlantic Treaty Organization`s (NATO) 70 years anniversary at a wreath-laying ceremony at The National Monument in honour of danes in international mission since 1948 – Kastellet Fortress, Copenhagen. Photo 6 april 2019 by Erik K Abrahamsen. Kastellet Fortress with ramparts, 5 bastions in a star formation and moats. 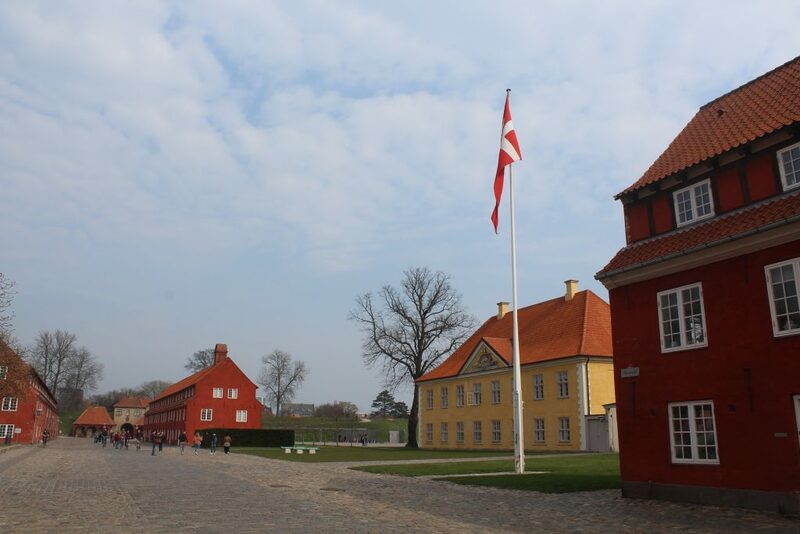 The fortress was started by King Christian 4 (King of Denmark and Norway 1588-1648) in 1620 as Sct. Annae Skanse for protection of the entrance of Copenhagen Harbour. In 1640 it was enlarged to a fortress with 3 bastions. His son king Frederik 3 (King of Denmark and Norway 1648-70) invited Holland engineur Henrik Ruse to enlarged the fortress to modern standard 1661-65. Fortress Kastellet built 1661-65 and inaugurated 28. oktober 1664. In background view to The National Monument in honour of danes in international mission since 1948 and parade ground. Photo 6. april 2019 by Erik K Abrahamsen. Main entrance “Kings Gate “(Kongeporten). Photo in direction south 6. april 2019 by Erik K Abrahamsen. View to entrance “KIngs Gate” (Kongeporten) and memorial monument “Vore Faldne” – 1940-45. Photo 6. april 2019 by Erik K Abrahamsen. My homepage: danculture.dk Click on “OM” on frontpage and you will find my 228 articles.